I had the pleasure of photographing a beautiful winter wedding for Mina and Arman at the Red Clover Inn in Mendon, Vermont earlier this month. The couple escaped a huge snowstorm that pounded their Connecticut home with three feet of snow for the humble Green Mountains. We didn’t fair so well from that storm, with only eight inches of fluffy white powder. No matter. Their day was perfect, if not a bit cold. Enjoy this slideshow from their wedding. The engagement photo session in Manchester, Vermont last fall. The photographs from a fantastic winter wedding are now online. Check out this brief slideshow from the day. In addition to my work as a wedding, portrait and news photographer, I run a studio at the University of Vermont College of Medicine. I photograph our 450 medical students in all aspects of their training, in addition to the work of the nurses, residents and doctors of our partner hospital, Fletcher Allen Health Care. 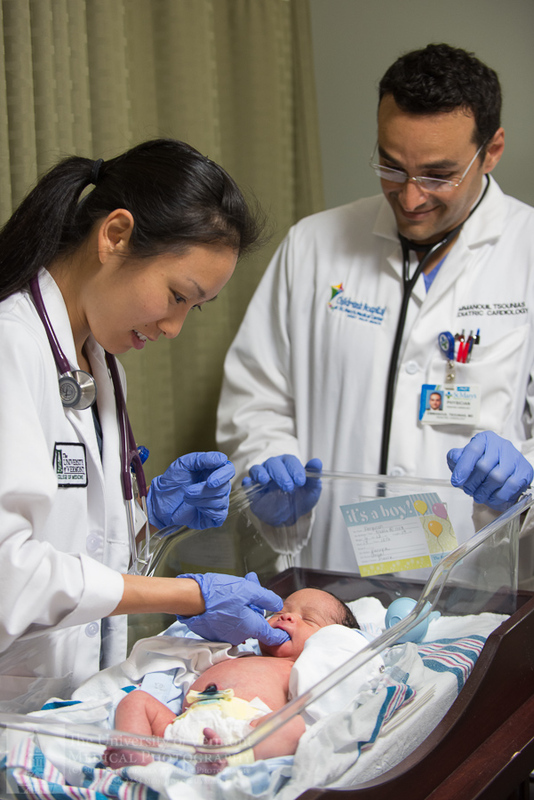 The College of Medicine is also a leader in several research fields. Last year was a particularly fun year. I was able to visit our West Palm Beach, FL and Danbury, CT training sites, and I was featured for an Across the Fence episode on our CBS affiliate WCAX-TV as well as a feature story on medical photography later in the year. 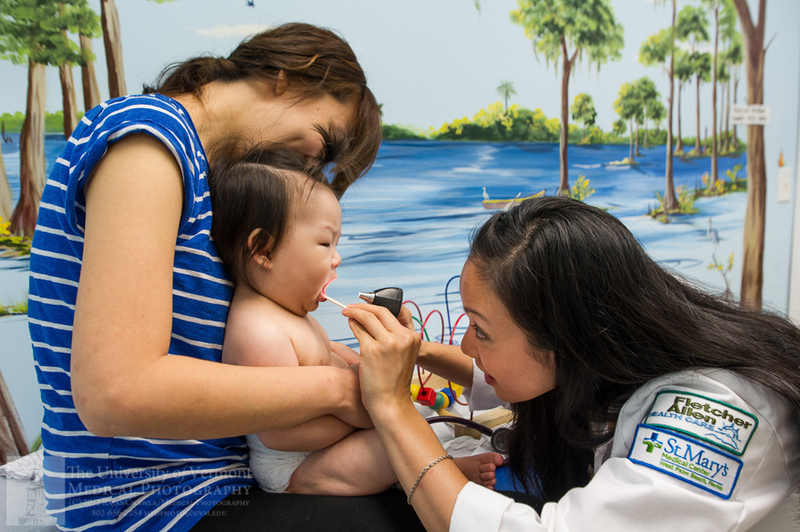 A second-year medical student performs a preliminary examination in a Georgia, Vermont pediatric office. We partner with hospitals in different areas of the country so that our medical students will be exposed to a diverse population and disease set. The photographs below are from St. Mary’s Medical Center in West Palm Beach, Florida. A medical student participates in an endoscopic surgery at St. Mary’s Medical Center in West Palm Beach, Florida. We have a clinical simulation laboratory featuring clinical exam and procedure rooms as well as computerized mannequins and a fully-function operating room. Medical students learn about taking a biopsy with a surgeon (above) and a nurse works on her patient skills with a standardized patient / actor (below). In April, photographer Joe Carroll and reporter Gina Bullard of WCAX-TV contacted me about producing a story on medical photography. We visited the operating room of Dr. Bruce Leavitt and his team as he performed a valve replacement on a north country farmer’s heart. I photograph about two dozen surgeries each year, documenting unusual medical cases and the work of the surgical teams and training of our medical students. The video is below and photographs from the surgery can be found here. Cancer doctor and researcher (above) and research technician (below). This is a beautiful Carl Zeiss microscope owned by Dr. John Brooks Wheeler of Burlington. Classroom time (above) and disability awareness training for medical students (below.) The goggles the student is wearing mimic a detached retina. Medical school brings many award ceremonies and rituals. In March of the fourth year, students learn where they will work as residents following graduation. The assignments or matches are made by a computer following months of grueling interviews at hospitals the students hopes to match with. The anticipation and stress is overwhelming as many students have spouses and families that will have to move, sometimes across the country, in three months. At noon on March 16, medical students around the country receive the news. At UVM, students gather as envelopes are pulled at random. The student has the option of opening the envelope at a podium in front of their class and announcing which hospital they have matched with. A resident and former UVM medical student visits a local nursing home as part of her work at a family medicine outpatient clinic. Second-year medical students hold a free health clinic in a local community center as part of their public health training. Our area has seen a huge influx of immigrants from around the world. The gentleman at left is from Bhutan. One of the best parts of my trip to West Palm Beach – sunrise on Juno Beach. I’m participating in this year’s South End Art Hop with a group of seven other Vermont ASMP member photographers in a show titled, “Landscape Alternatives.” The show, featuring eight large interpretations of the world around us, is hanging at Draker Labs in the Maltex Building on Pine Street. Please stop by Friday evening between 5pm and 9 pm for a reception and to meet the photographers. A map and more info can be found here. I hope to see you there! Photograph “Provisions” featured in the 2012 Art Hop. Reporter Gina Bullard and photographer Joe Carroll from our local CBS affiliate WCAX are running a series on still photographers in the area and they contacted me to feature my work at the University of Vermont College of Medicine. I brought them with me as I photographed our medical students during a heart surgery with Dr. Bruce Leavitt at Fletcher Allen Health Care. 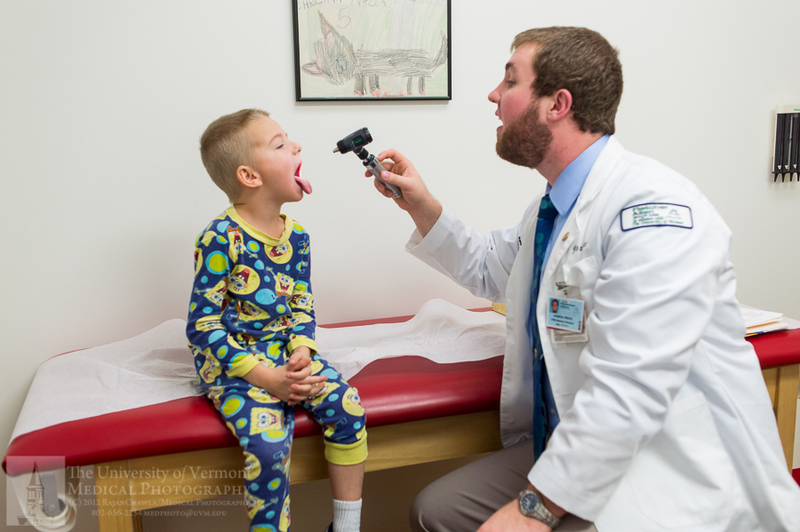 Take a look at some of the photographs from the session and another portfolio gallery of my work at the UVM College of Medicine. Also featured this week: Natalie Stultz and her Farm to Table food photography and remote flash trigger company Pocketwizard! I spotted this gas valve while scouting for a new portrait location at the University of Vermont College of Medicine. The lab is brand new, super clean and empty. I can’t wait to shoot there. I’ll post the results soon.